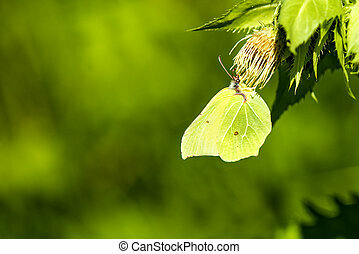 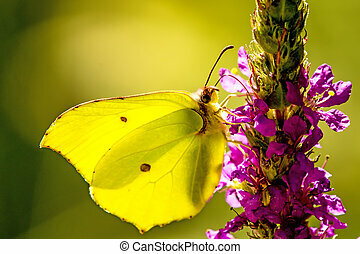 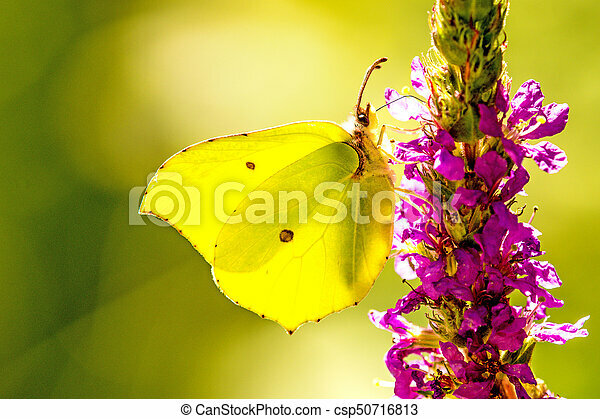 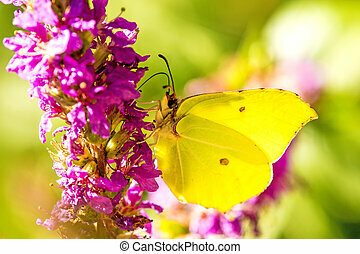 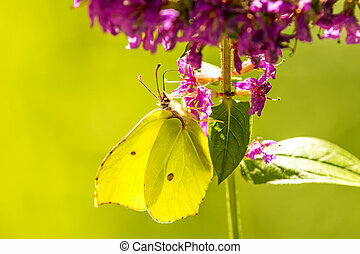 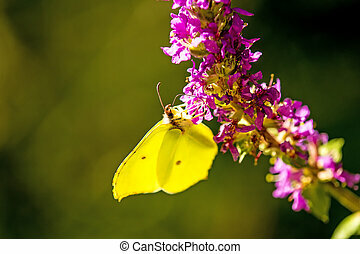 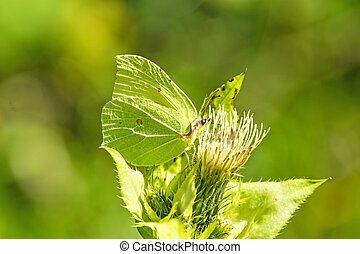 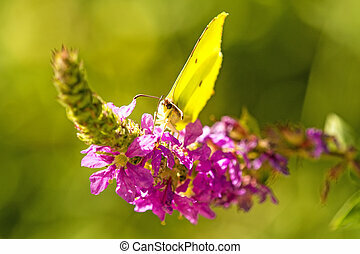 Brimstone butterfly on a flower of purple loosestrife. 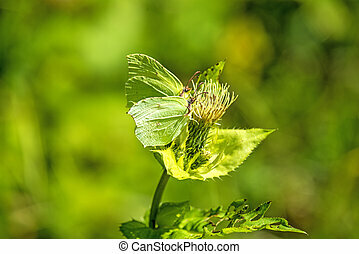 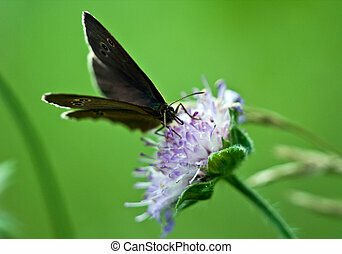 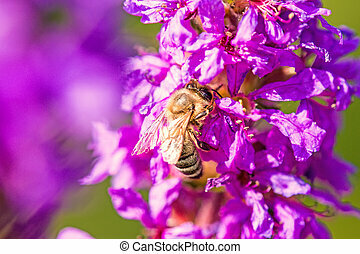 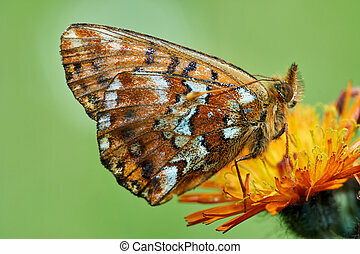 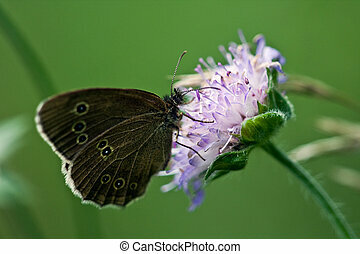 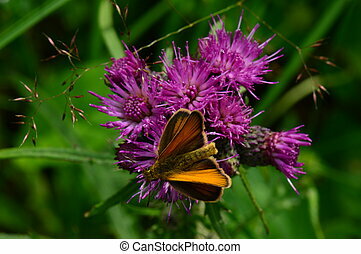 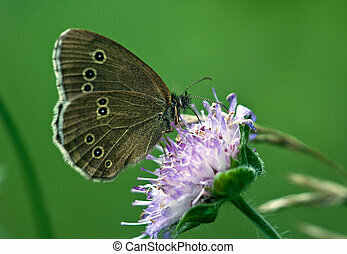 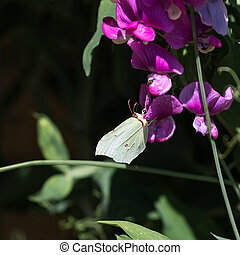 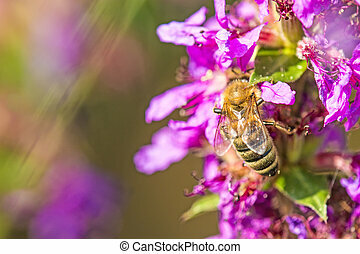 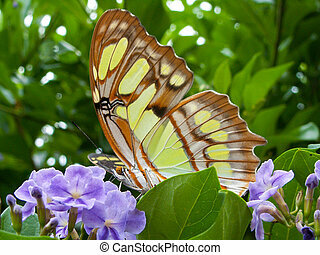 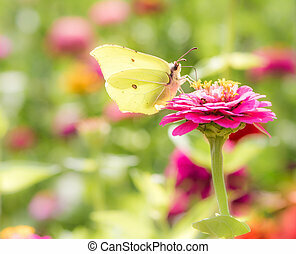 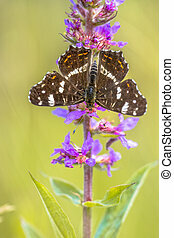 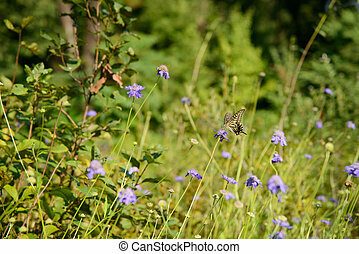 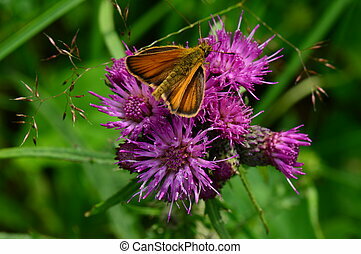 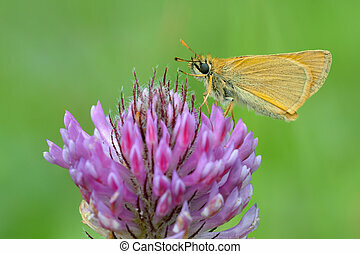 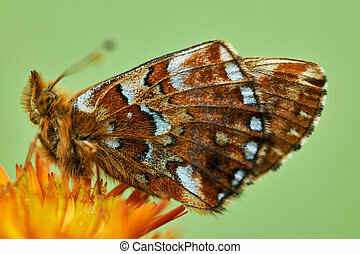 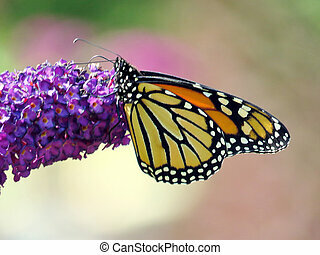 Ochlodes sylvanus, butterfly on a purple flower. 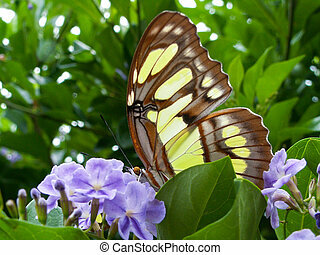 A close-up of a yellow butterfly on a purple flower, taken near Cali, Colombia.